According to press release of September 19, 2017, from the office of Edgefield County Hospital CEO, Edgefield County is poised to enter a new, improved era of medical services. The Boards of Self Regional Healthcare (SRH) and Edgefield County Hospital (ECH) announced today that they have signed a non-binding letter of intent that will set the stage for a greatly increased role for Self Regional in delivering healthcare services to Edgefield County. 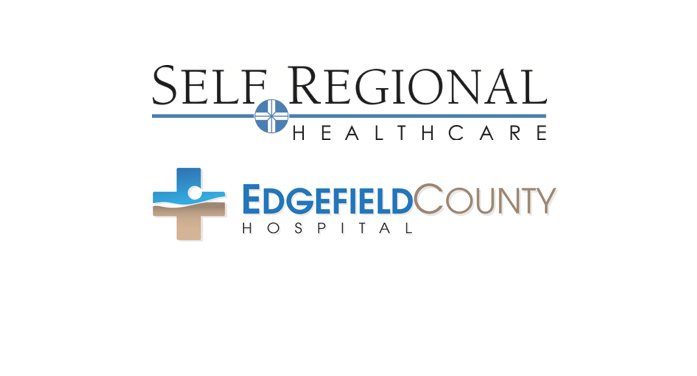 The partnership means that Self Regional will lease Edgefield County Hospital’s facilities and equipment and will operate the hospital as part of SRH’s system of healthcare facilities. Negotiations are ongoing and the transaction is expected to occur in spring 2018. “This agreement builds on a well established, long-term, collaborative relationship between the two hospitals,” said Carlos Milanes CEO of Edgefield County Hospital. “The breadth of services and level of commitment that SRH brings to Edgefield will significantly improve the healthcare available to our community,” Mr. Milanes said. As part of the agreement, a new Joint Operating Board of Directors will be appointed to govern the hospital’s clinical operations and medical staff. The existing ECH Board of Directors, whose members are appointed by Edgefield County Council, will remain intact, continue as an oversight body, and will also serve on the Joint Operating board. “Self Regional is thoroughly committed to bringing the best care to Edgefield; we are currently building a new 16,600 square-foot medical office building on the ECH campus, and we’ll be taking on full financial responsibility for ECH’s operations for an initial period of 10 years followed by an automatic renewal for an additional 5 years. Edgefield patients are a priority for us.” Mr. Pfeiffer said. Self Regional Healthcare is a not-for-profit, regional referral hospital that provides care to residents of Greenwood, Abbeville, Laurens, Saluda, McCormick, Edgefield and Newberry counties. Services include prevention and wellness, acute care and tertiary care services including cancer care, neurosurgery, heart and vascular surgery, NICU, orthopedics and genetics. Self Medical Group is its employed physician affiliate network of 22 practices and more than 100 physicians. Edgefield County Hospital provides acute care to residents of Edgefield County, SC and the surrounding areas. The hospital employs 193 physicians, nurses, and staff. Services provided are: family medicine, laboratory testing, dietary services, operations and recovery, pharmacy, emergency services, rehabilitation, radiology, swing bed services, short-term inpatient stays, and respiratory care.